Although the Bitcoin price continues to weaken, currently at $3,530 on the Bitstamp exchange, there is one positive aspect related to the most famous cryptocurrency which needs to be put in the spotlight. The Asian session today, January 21st, saw the Bitcoin price dropping after news from the Organization for Economic Cooperation and Development (OECD) mentioned the need for a joint Initial Coin Offerings regulation. Even though Bitcoin dropped from nearly $20,000 per token in January 2018, the industry of Bitcoin ATMs continues to flourish, according to coinatmradar.com. As you can see in the chart below, as of January 21st, 2019, there 4,200 Bitcoin ATMs around the globe. 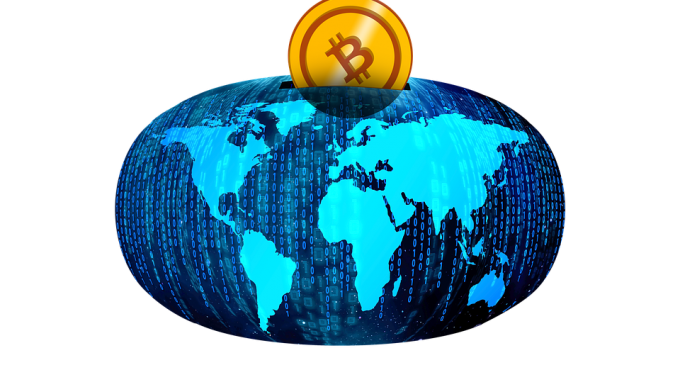 The first one was launched on November 1st, 2013, and since then, manufacturers like Genesis Coin, General Bytes, and Lamassu, had been the largest Bitcoin ATMs producers. As expected, the industry had the most impressive growth in the largest economy of the globe, with currently 2,350 Bitcoin ATMs just there, more than half of the global number. Not surprisingly, though, 4,194 out of 4,200 ATMs have support for Bitcoin. Litecoin is on the second place with 2,521 and Ether on the third with 2,096. E-commerce is over. Cryptocurrency is the future. Companies like Overstock.com are only doing Bitcoin transactions, and other digital conglomerates like Amazon, and Facebook know the war chest is coming. Just like aol.com was a brand name in the mid-90’s, Bitcoin is just the start of many brands to come that will offer the same service. It’s only a matter of time before everyone will have a Bitcoin option on their mobile devices. Once any transaction is complete, it’s final. Still, the Bitcoin valuation and huge volatility remain big concerns. We’ve seen how mining companies like Giga Watt had to cease their activity because of the massive drop in value. However, the fact the number of Bitcoin ATMs continues to grow, it should that more and more people think it is advantageous, which raises the prospects for the years to come.